To be quite honest, I didn’t expect to follow Jugglers. 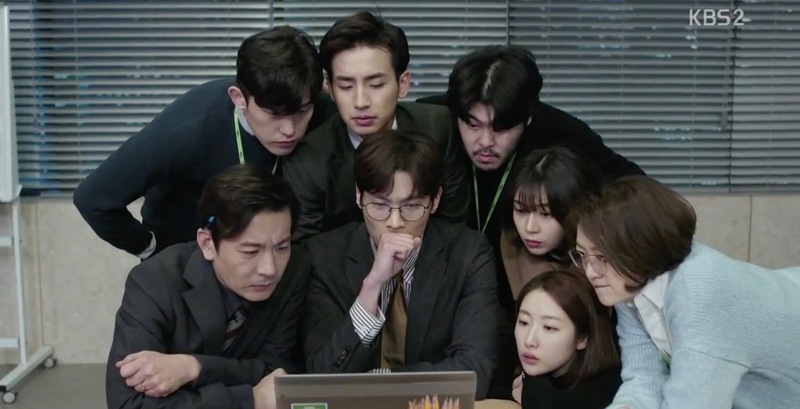 My first impressions of the show (without knowing anything about it) was that it was going to be some spy-themed drama set in the past (à la Chicago Typewriter) centred on a group of spies called – surprise surprise – Jugglers. But of course, that couldn’t be further from the truth! Instead, the show gives an insight into the daily lives of personal secretaries, known in the circle as ‘Jugglers’ because … that’s pretty much what they have to do for their bosses: juggling their work lives, and their personal life at times. 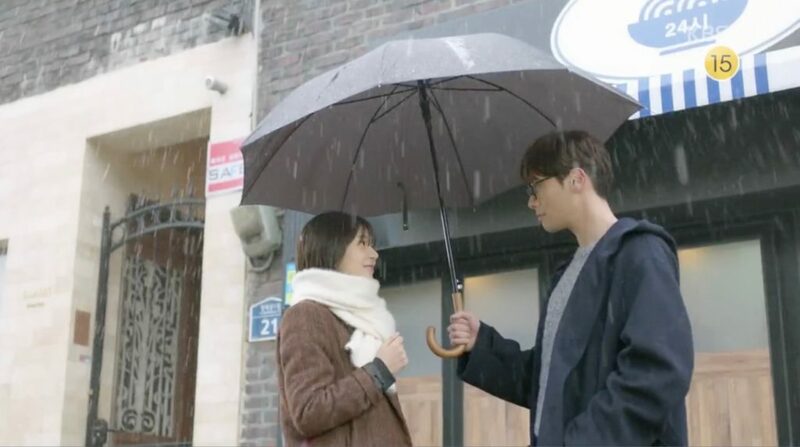 Jwa Yun-i (Baek Jin-hee) is one of them – after a bad turn of events with her previous boss, she gets paired up with Nam Chi-won (Choi Daniel), the managing director with an icy glare and a prickly demeanour. Slowly but surely, Yun-i begins to melt Chi-won down with her bright spirit, enthusiasm and persistence, and they become quite a formidable pair. Chi-won also moves to the top floor of Yun-i’s house, making them landlord and tenant – but more on that later. That summary may not have been a good enough prompt to get you watching Jugglers, but here’s more about the drama through these 5 favourite locations of mine! This two-storey house had a different significance for every character that came through it. 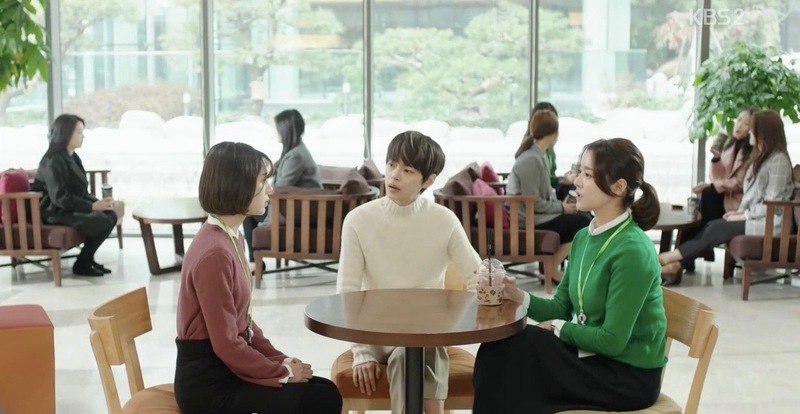 For Yun-i, this was home, where she sought refuge after a long day at work; for her best friends Jeong-ae (Kang Hye-jung), Bo-ra (Cha Joo-young) and Kyung-rye (Jung Hye-in), this was a sisterly hangout, with Jeong-ae staying a few nights to escape loan sharks at her home; for Yun-i’s mother (Lee Ji-ha), it was a source of revenue (thanks to Chi-won), while for her brother Tae-i (Hong Kyung), it was a hiding place – and quite literally too. While it would certainly be as awkward as heck to have one’s boss as a tenant at home, what this turn of events meant for Yun-i was that she had the upper hand outside the office! But as things would have it, she and Chi-won went from drawing an imaginary line between them, to Yun-i crossing that line (by hanging out in Chi-won’s room to read comics), then becoming a relatively blurry line (after Chi-won’s spontaneous kiss), and finally, the line being erased altogether. After tracking down this house, what surprised me most was discovering that it’s not located in Seoul – but rather, all the way in Jeonju! Imagine all the back and forth travelling that the cast had to do while filming. Kudos to them! Ah, the office – the very place we spend just as much (if not more) time as we would at home. This was the very case for Chi-won, Yun-i, and many of the other YB Advertising (or YB Ad) employees featured in the show. Here, we got to meet the different teams in YB Ad – the Video department headed by Chi-won, the Advertising Planning team headed by the scheming, power-hungry director Jo Sang-moo (In Gyo-jin), and the Sports Business department headed by the ever-hungry (for food, not power) director Hwangbo Yul (Lee Won-geun). And of course, Vice-President Do Tae-geun (Kim Chang-wan), whose impending retirement added fuel to an already cutthroat environment. This was also where Kyung-rye’s café was located – a gathering place for various characters through happy, sad, and even the most infuriating of times. There’s nothing like nursing a warm cup of coffee or a refreshing ice-blended drink to make it all feel better – at least, for that moment. I’m looking forward to visiting this location on a future trip to Korea! 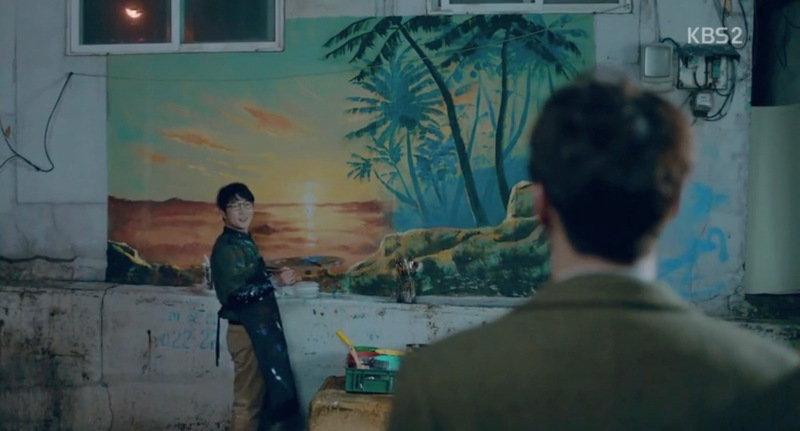 While this mural wall didn’t get a lot of screen time in the show, it did give us a brief glimpse of Chi-won’s artist uncle in episode 8. As a boy, Chi-won and his family met with a road accident in which he was the sole survivor. Chi-won’s uncle eventually became Chi-won’s guardian until he passed on years later in an unfortunate accident. It was here that his memory was kept alive through his artwork. One of my favourite Yun-i/Chi-won moments in the show took place right here. We were first introduced to this shop when Chi-won asked Yun-i if she wanted to have ramen in episode 9. In Korea, a guy asking a lady if she wants to ‘have ramen’ has a similar connotation to ‘Netflix and chill’ – but in this case, it was really just to have ramen. 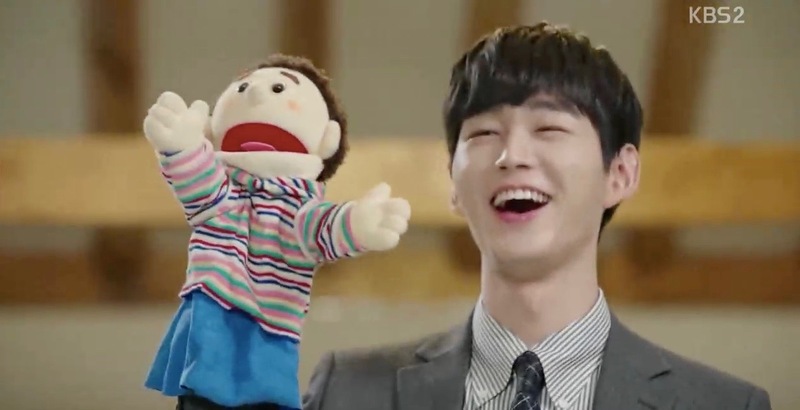 We return to the shop towards the end of the episode, on New Year’s Eve, when Yun-i bails on a trip to the East Sea with Kyung-rye, Jeong-ae, Tae-yi and Geon-woo when she comes here to look for Chi-won. Their first kiss may not have happened here (spoiler alert: it was here), but it was still a place where they finally faced up to their feelings for each other – and were all the more happy for it. Fun fact: This ramen shop in the show isn’t actually a ramen shop in real life! Check out the listing to find out what it actually is. Sadly, this is likely not an actual location that exists, but it’s still one of my favourite places in the show! This beautiful, modern-looking version of a hanok was where we got to see more of the adorable Director Yul and the gradual shift in his life: from someone who only cared about what time the next meal was, to someone who had a goal to work towards. It was also here that he experienced motherly touches from his secretary, Jeong-ae, who took care of him the best way she knew how – by being a mother.